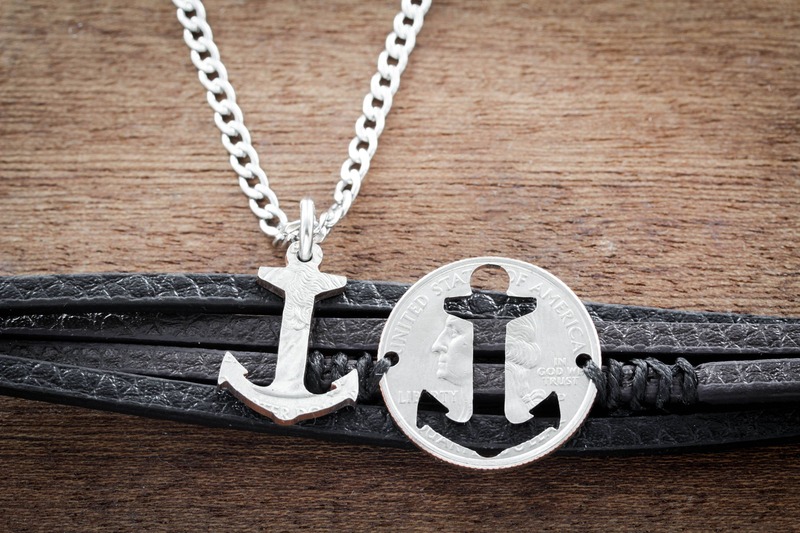 This is an amazing inside and outside anchor design. 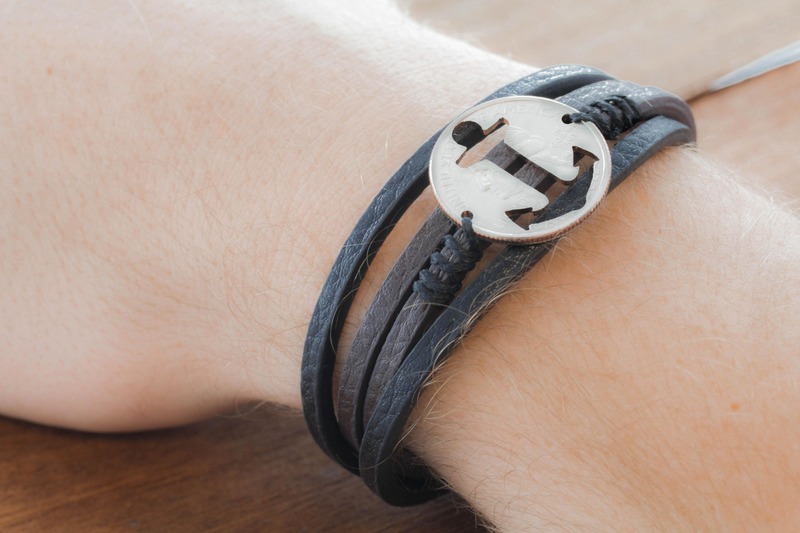 One side is on a necklace and the other is on a bracelet. Here is a perfect gift you can get for yourself and your special someone. 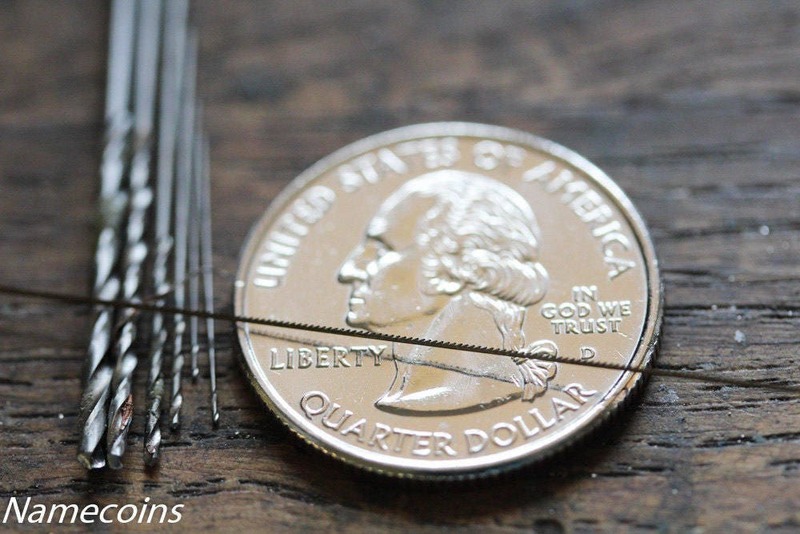 This is made from a real quarter, nickle, or dime. We cut it totally by hand. 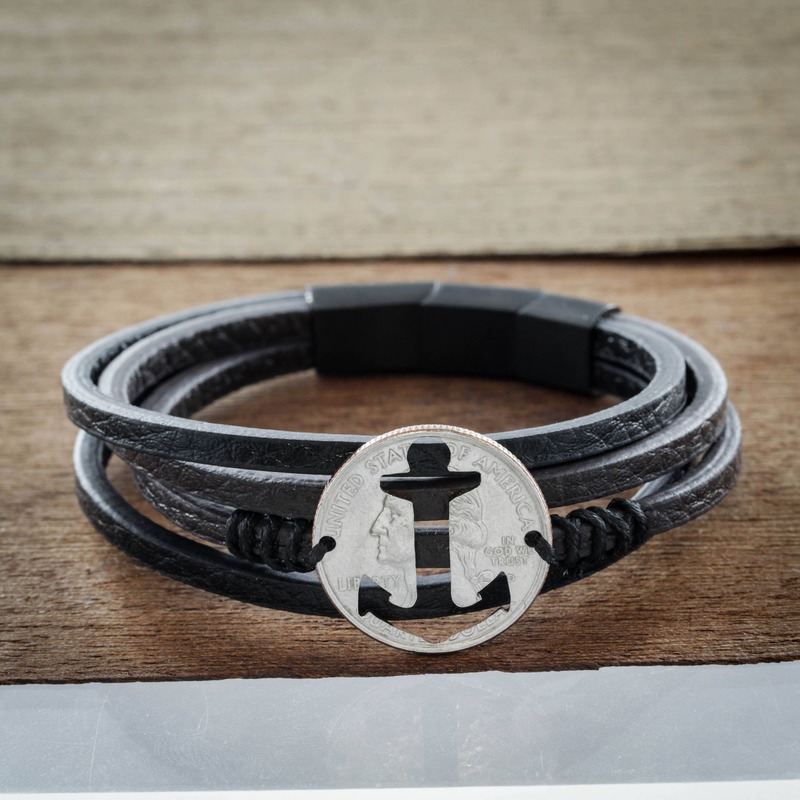 We sew on of the anchors also by hand onto a fine leather bracelet. 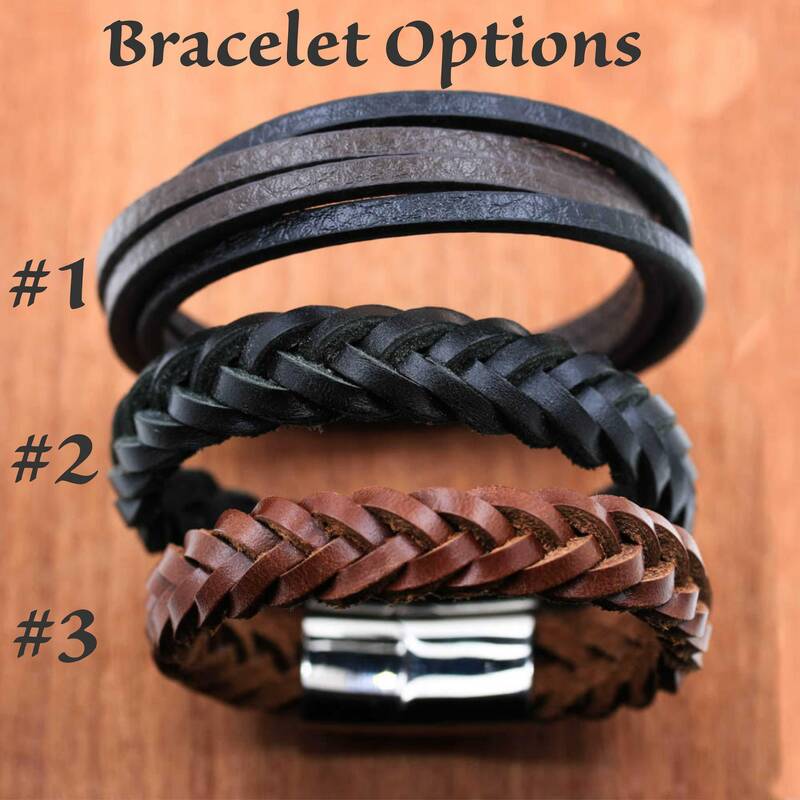 We have 3 fine leather bracelet options. They each have magnetic clasps. Look at the option picture to see which one you would like. 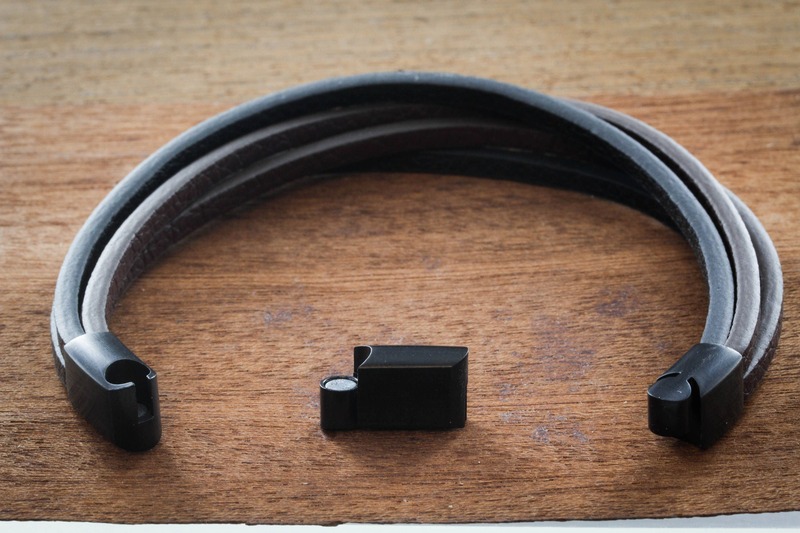 Our #1 bracelet has an extender piece that goes in or out. 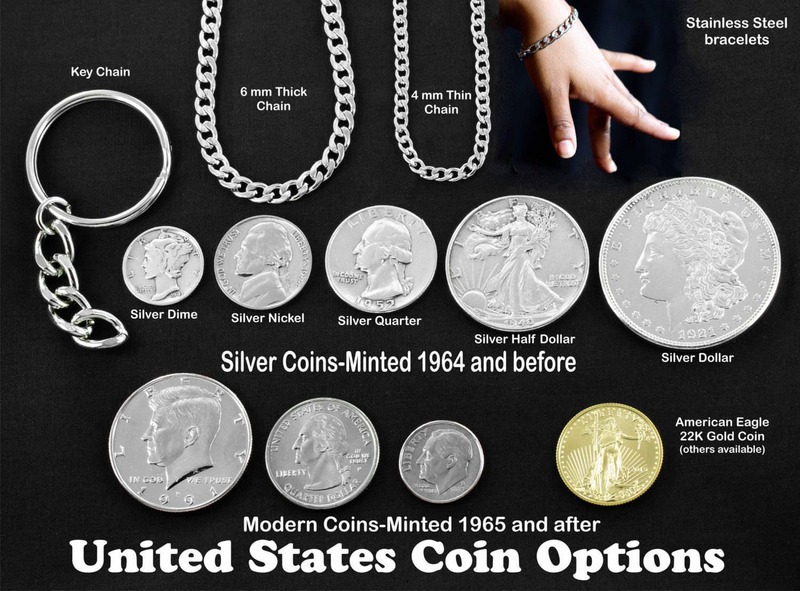 In our options you can choose real silver dimes or nickels. Just make your coin type selection in the options bar above. 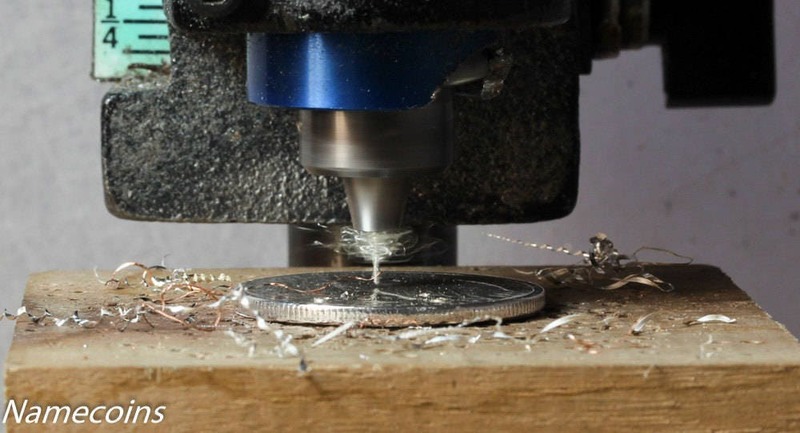 The coin pictured is a quarter. 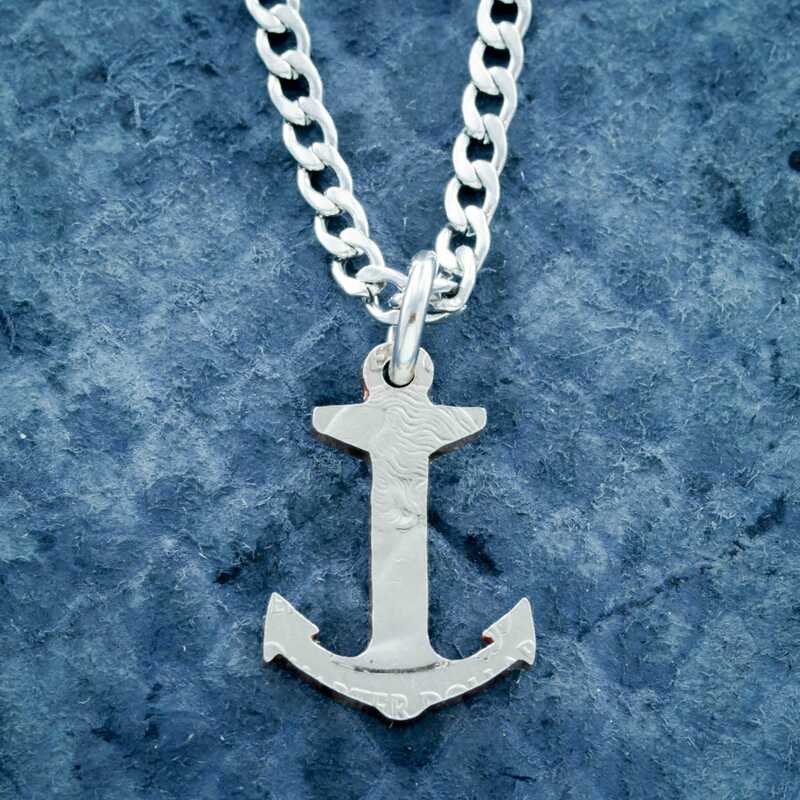 This will come with a 20 inch thin chain unless you let us know in your order comments that you would like a different necklace. Beside the black cord all the others are made from stainless steel.